The St. Louis Cardinals traded left-handed pitcher Jayson Aquino to the Baltimore Orioles for cash considerations this morning. 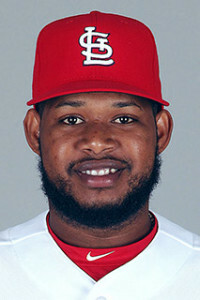 Aquino was acquired by the Cardinals on a waiver claim from the Cleveland Indians on Dec. 9, 2015, and assigned to the Cardinals 40-man roster, before being designated for assignment and traded to the Orioles. He did not make an appearance in any of the Cardinals Major League Spring Training games. The Orioles become Aquino’s sixth organization since being signed as a non-drafted free agent out of the Dominican Republic by the Colorado Rockies in 2009.